In our experience, choosing a coffin can be a one of the most sensitive elements of arranging the funeral of a loved one. There may be a number of opinions as to which coffin to select. Families may feel under time pressure to make their selection. 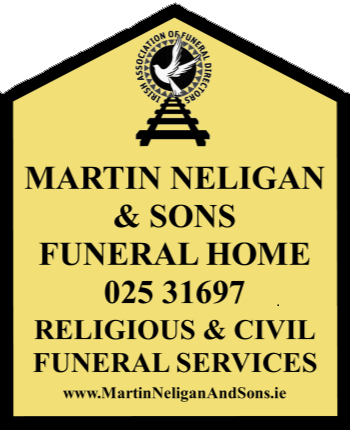 At Martin Neligan & Sons, we understand these concerns and feelings, and we believe in offering support, advice and above all allowing the family time on their own, in our coffin display room to make their decision. We have a large selection of coffin’s all crafted to the highest quality in our display room, you will be offered options relating to design, wood, and choices ranging from mahogany to light coloured oak.